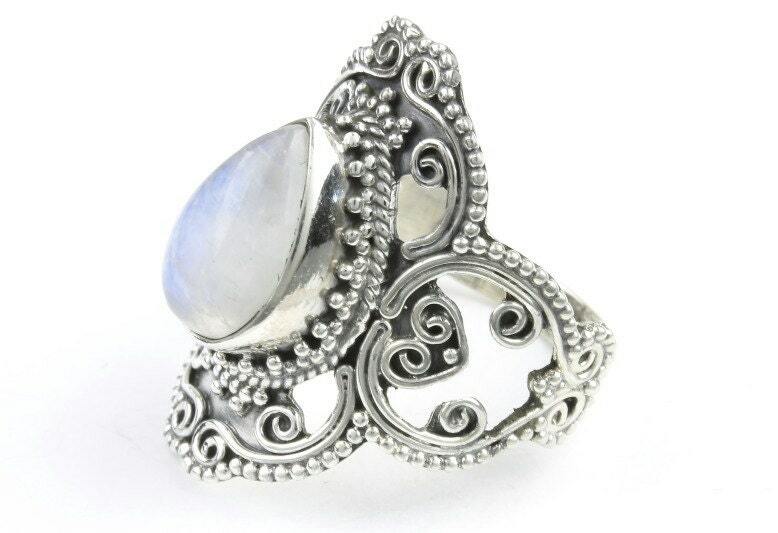 Amazingly detailed ornate ring with a mystical moonstone center stone. Patina finish accentuates the intricate detail of the piece, while giving it a lovely vintage appearance. Note: This is not a vintage item. Wonderful ring; arrived quickly and packaged well. So beautiful and well made! Thank you!!! Love these rings - I've bought about 5 so far and they are all equally gorgeous. I will say that some of the rings fit about half a size smaller than most but I have so many I can wear them on different fingers so it all works out. You wont be disappointed, these are beautiful! 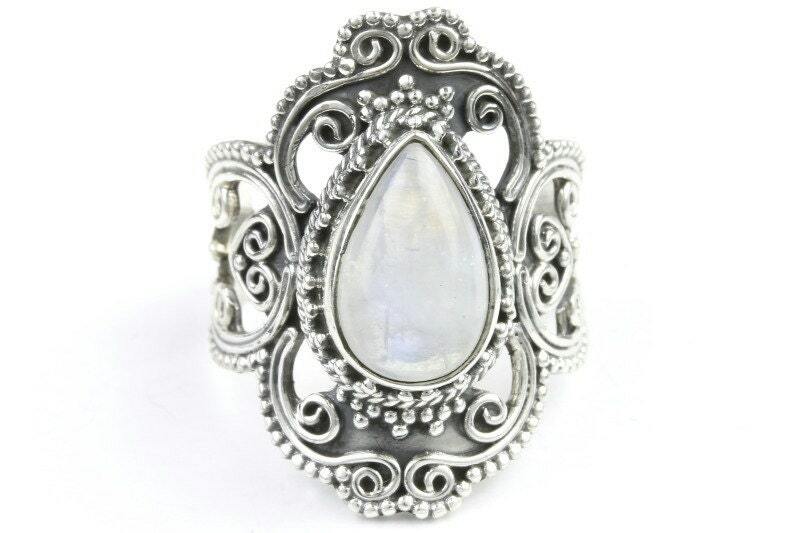 This is an amazing ring, and the Moonstone is superb - set up high, with great flashes of blue. I'm so happy with everything from this Vendor, I can't say enough good things!